Swami Nigmananda, who had been fasting for almost four months to protest illegal mining and stone crushing along the Ganga near Haridwar died at the Himalayan hospital in Jollygrant in Dehradun on Monday after an ordeal of 115 days. 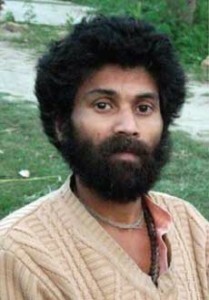 The 34-year-old swami died at the same hospital where Baba Ramdev was being treated until his discharge on Tuesday. While Ramdev who was admitted to the hospital on the seventh day of his nine-day long fast which he ended with a sip of juice and much fanfare, Swami Nigamananda fought for two and half months before he passed away.